Who likes to have a greasy and dull looking hair? Nobody will say yes to this question. Oily hair is always a gross matter to everybody. When we go outside, we made ourselves perfectly from tip to bottom. After a while if we come across a mirror we will notice that our hair is not in good shape. For me oil in the hair is not bad. Oil protects your hair from breakage and it helps to give you that shiny look. But as we all know excess of anything is not good. When the rate of oil in your hair grows, you will notice dull, lifeless and sticky hair. The production of huge amount of sebum causes oily hair. Sebaceous gland is attached to our hair. This substance is the reason for oil in our hair. It is important to know which of the thing causes greasy hair on our scalp. It is because in order to find cure you must diagnose the matter first. 1. The main thing which resides in us is the sebaceous gland, which excretes oil on our scalp. If the amount of sebaceous gland increases it tends to produce more oil on our scalp! 2. If your dad or grandfather inherits an oily hair then there is much possibility that you might have an oily hair. 3. Sometimes it depends on the hair types. If you have lots of hair then the possibility of having oily hair increases. It is because more hair means more sebaceous glands. 4. 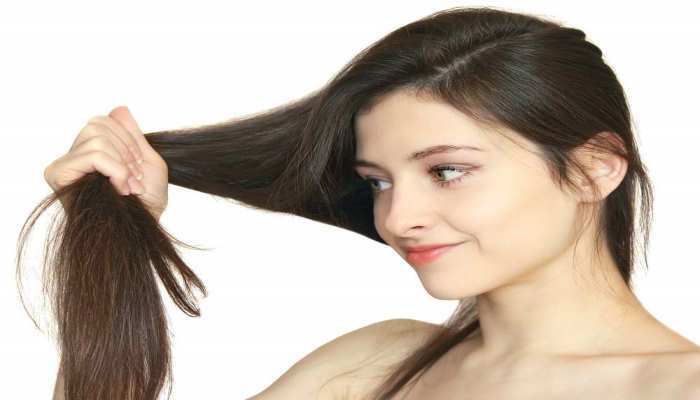 Hormonal imbalance can cause oily hair. When the imbalance effect become flat and even then the problem demises automatically. 5. Environment is another factor which can affect your hair. Wet weather causes our hair to become dull. 6. If you use a lot of chemical product in your hair it may cause a greasy effect. As the harmful product will block the hair pores. These are causes of greasy hair. This has actually no limitations. There may also have other factors which cause oily hair. But I have given the common reasons. If you want to use chemical product to remove your excessive oil from hair then there might increase the amount of sebaceous glands. So, it would be better if you use home remedies to get rid of oily hair. As you know natural remedies have no side effects on our hair. Some people are surely allergic to some natural product. An allergic or sensitive person can avoid those items. Now I am giving you a short suggestion about home remedies of oily hair. Lemon juice is also an acidic material. Take one big size lemon juice. Now take out all juices and mixed it in one cup of water. Now apply the lemon juice on your scalp. It will help to reduce oil in the hair. Sometimes the direct application of lemon juice on the scalp may cause a bad condition of your scalp. That’s why I suggested you to use water with it. Evenly massage your hair after pouring lemon juice. Regular application of lemon on the hair will reduce the excessive secretion of oil. The massage will open up the clogged hair follicles which reduce hair fall at a greater amount. Apply two tablespoon of vinegar into a large cup of water. After shampooing apply the vinegar mix and rinse thoroughly. This will reduce excess oil and make your hair healthy. Aloe vera is my favorite ingredient. It is useful in many cases. You can use it in two ways. • First take out the gel then apply it on your scalp. And rub your hair gently. This will help to reduce excess oil. • Another way is to mash the aloe Vera gel, then mix it with lemon and water mixture. Apply the mixture then rinse with water carefully. Aloe Vera is known as a moisturizer but it helps to demise secretion of excess oil. And it also makes your hair shiny and dry all the time. Apply aloe vera twice a day. Baking soda is famous for the absorption of oil. You can use baking soda in any kind of face pack for oily skin. You can also use baking soda in your hair to cut off excess oil. Take two and half teaspoon of baking soda and make a paste with little amount of water. Now apply the paste only on your scalp. Now rub your hair gently for 5 minutes. Then give it a rest for about 10-20 minutes. After doing that wash it with cold water. If you want you can use shampoo. If it is possible then don’t use it. Egg yolk is effective in many cases. It is useful for any types of hair diseases. Take one egg and separate the egg yolk and egg white. Take the egg yolk and add with it some onion juice. Leave it for sometime then apply it on your hair. Some people can’t tolerate the bad smell of yolk. If possible then you can use yolk in other ways. Such as take some mehendi leafs and make paste of the leafs. Then add to it one egg yolk. Sometimes mehendi leaf is not available. You can also use powdered mehendi in this case. The strong aroma of mehendi will reduce the smell of egg yolk. Apple cider vinegar helps to make your hair smooth and soft. It also demises the huge amount of oil. Take 1/2 cup of cider vinegar and mix it with 2cups of lukewarm water. Then apply it on your hair. Massage your hair for 15-20 minutes. Then rinse it properly with cold water. If you are afraid of using egg yolks for bad smell then you can try egg white on your hair. Take one egg and then separate both the white and the yolk. Now add a little amount of water with the egg white and apply it to your hair. After 15-20 minutes, rinse it properly. You can use shampoo after applying egg related things on your hair. Alcohol helps to reduce huge amount of oil from your hair. Apply any beverages containing high amount of alcohol as the aforesaid procedure. As like I have told you to use mehendi you can also use henna. Take 3 teaspoon or more as per your quantity of hair. And make a paste with it by using water. Add 1 whole lime juice in it. Then apply it on your scalp and hair. After 20 minutes, wash it off properly. Sometimes henna can seals the pores of our hair. That’s why carefully wash it as if there should not be any henna left on your scalp.